Raymond Weil Freelancer David Bowie watch is a limited edition piece. 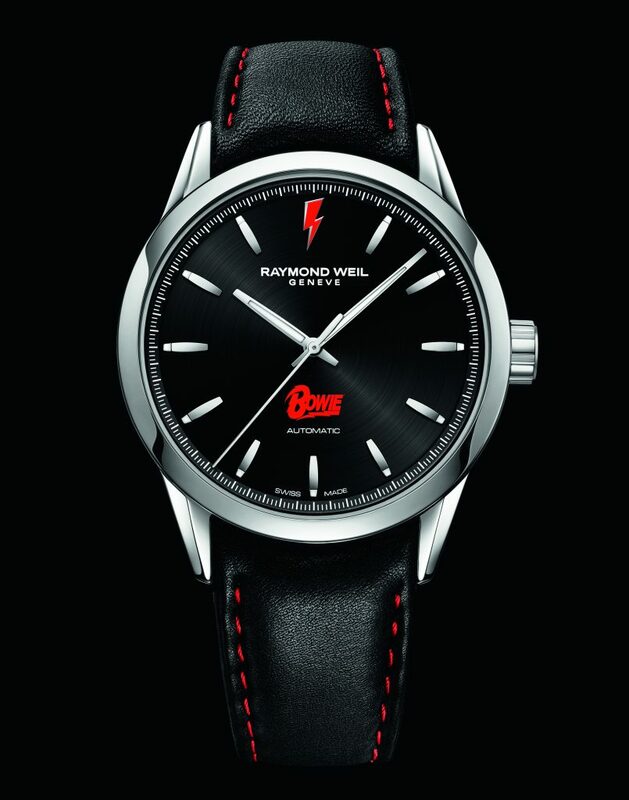 In tribute to the life and musical career of one of the most influential artists of all time, Raymond Weil releases the Limited Edition Freelancer “David Bowie’. The watch, which was created in collaboration with the David Bowie Estate was released to celebrate what would have been Bowie’s 70th birthday. For more than five decades, the British rock legend was acclaimed by his critics and musicians for his innovative work – selling nearly 140 million albums worldwide. To honor the man of a thousand faces and voices, Raymond Weil selected its most free spirited model – the Freelancer. Inside the Freelancer 42 mm steel case, sits a dial resembling that of a vinyl record. 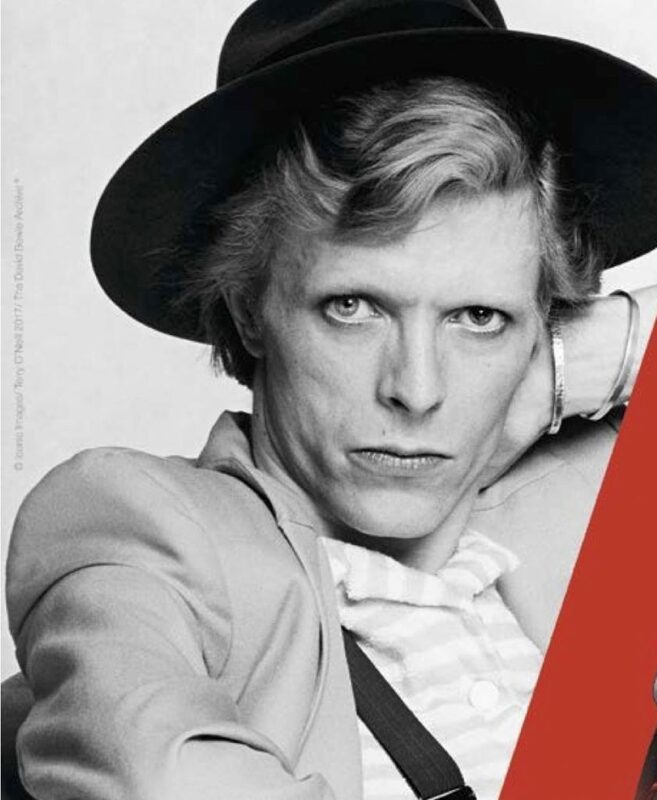 At 12 o’clock sits the universally recognized, stylized lighting bolt, which first appeared across Bowie’s face on the cover of the Aladdin Sane album in 1973. Also featured on the dial is the pop art logo designed by Andy Warhol, which was first revealed on the cover of the 1974 album Diamond Dogs. The Freelancer is fashionable and functional depicting central hours, minutes and seconds. An image of David Bowie is engraved on the caseback of the Raymond Weil Freelancer David Bowie watch. The Limited Edition Freelancer David Bowie timepiece is limited to only 3,000 pieces – as unique as Bowie’s iconic career – characterized by reinvention and visual presentation. The watch is powered by a mechanical self-winding movement, RW4200, with a power reserve of 38 hours. The case back of the watch features an engraved portrait of Bowie taken by world famous photographer Terry O’Neill back in 1974. Also featured on the case back is a limited edition numbered engraving. The timepiece is finished with a black calf leather strap with red stitching and folding steel clasp. The watch retails for $1,595. “He was an artist in a league of his own, a visionary, multifaceted icon whose work is a testimony to an exceptional career as a musician and a creative. His metamorphoses both in terms of style and music studded his career, catapulting both himself and his characters into legendary status. He embodies the free spirit that has guided Raymond Weil day after day since it was created,” said brand CEO Elle Bernheim. 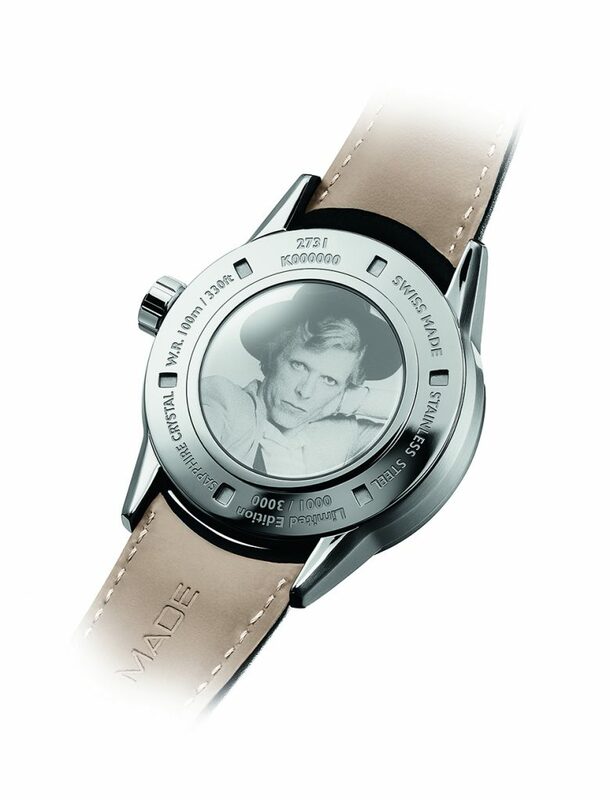 The caseback is engraved with an image of Bowie in the likeness of the photo taken by famous photographer Terry O’Neill (photo courtesy: Raymond Weil).